Am I the sole owner? Am I willing to pay a state/franchise tax for limited liability? Am I taking on any debt? Am I taking on any preferred investors? Am I willing to deal with a second level of taxation? 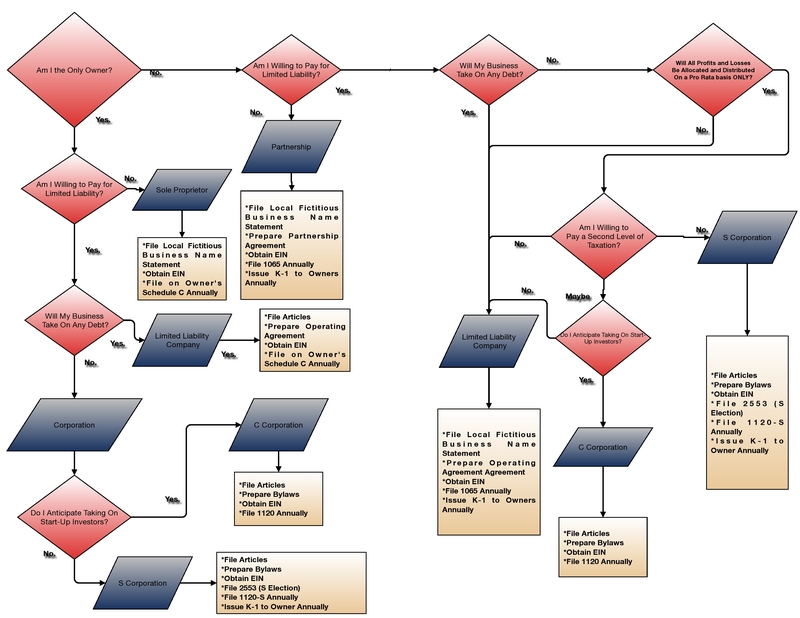 Compare your answers to this flowchart to see where you end up. If you have even more questions regarding business entity selection, please contact me. We can cover your specific needs and help start the best business entity for your situation.